Here is some information on a short course on relevance theory which we organised in 2016. It was great fun to organise and I really enjoyed the sessions. It was great to have a lively discussion with people from different research backgrounds and, of course, great for PhD students and other researchers to have a chance to talk to each other. 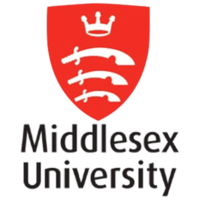 The course was devised and taught by me (Billy Clark) with lots of help and support from my department (Media) and faculty (Arts and Creative Industries) at Middlesex. Special thanks to Anna Charalambidou and Nayomi Roshini ! The course was designed primarily for graduate students and early career researchers but was open to all. We might do something similar in future. Hope to see you there if we do!